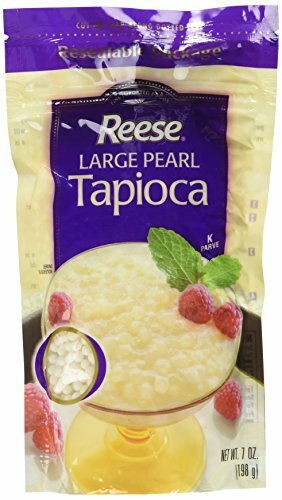 Step out of your comfort food and take a trip around the world with Reese Large Pearl Tapioca. Sourced with international delicacies in mind, Reese finds the highest quality products from different corners of the world, focusing on taste and affordability. 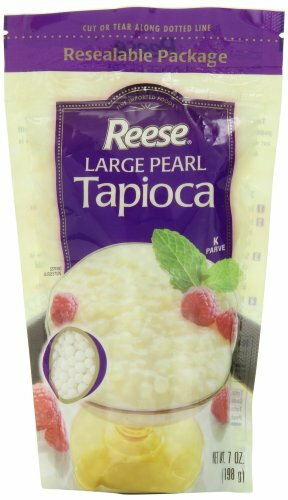 Reese Large Pearl Tapioca is ideal for adding to hot and cold beverages as the pearls keep their size and provide a chewy contrast to the drink. 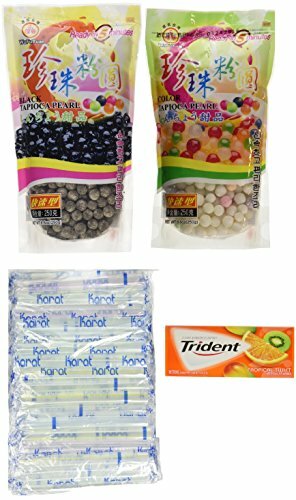 These pearls can and should be used in drinks such as bubble tea, fruit slush or shaved ice. Reese has one goal: to bring the highest quality products from around the world offering artichokes, hearts of palm, capers, seafood, sauces and more, straight to your kitchen. We have been America’s most trusted name in gourmet specialty ingredients for almost a century. Tapioca comes from the cassava plant and has been used for centuries in creamy puddings and sweet desserts . Tapioca contains no impurities so the delicate taste will not mask light flavors such as vanilla, peach or lemon. Large pearl tapioca come in the form of round pellets made from cassava roots and are most commonly used to make tapioca pudding. Before adding to these pearls to a recipe they must be soaked for at least 2 hours. Pearl Bubble Ready in 5 Mins. Net Weight:8.8 OZ. 250g each BAG . •10 cups water •1 cup tapioca pearls Instructions: 1.Bring the water to a boil in a large pot. 2.Slowly add in the tapioca pearls. Give the water a gentle stir so that the pearls do not stick to each other. 3.Let the water boil for a minute. Cover the pot with a lid and reduce the heat to medium. 4.Cook the tapioca pearls for 5 minutes or according to the instructions on the packet. 5.Turn off the heat and leave the tapioca pearls covered for a few minutes. 6.Drain the hot water and rinse the tapioca pearls in cold water for about 10 seconds. 7.Drain the cold water and transfer the pearls to a container. 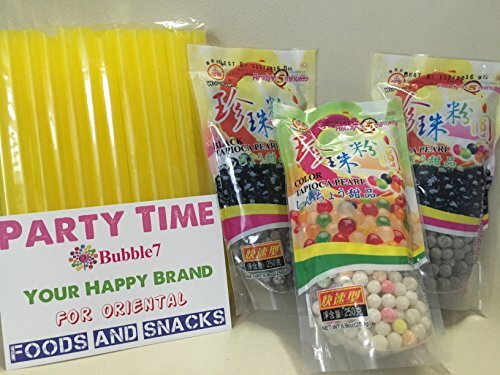 This listing is for TWO (2) sealed BAG of Tapioca Pearl Bubble Ready in 5 Mins. Net Weight:8.8 OZ. 250g each BAG . •10 cups water •1 cup tapioca pearls Instructions: 1.Bring the water to a boil in a large pot. 2.Slowly add in the tapioca pearls. Give the water a gentle stir so that the pearls do not stick to each other. 3.Let the water boil for a minute. Cover the pot with a lid and reduce the heat to medium. 4.Cook the tapioca pearls for 5 minutes or according to the instructions on the packet. 5.Turn off the heat and leave the tapioca pearls covered for a few minutes. 6.Drain the hot water and rinse the tapioca pearls in cold water for about 10 seconds. 7.Drain the cold water and transfer the pearls to a container. 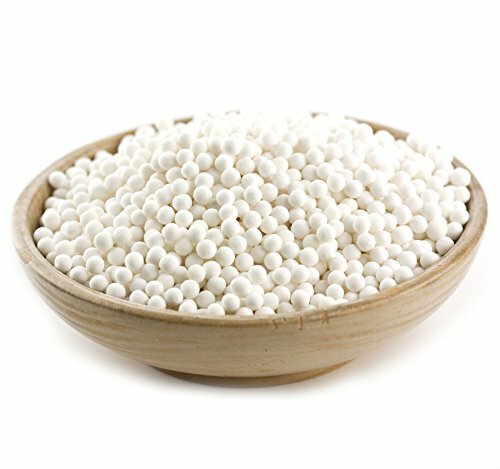 Large Pearl Tapioca, Bulk 1.8 Lb. These round pellets (largest of our tapioca selections) are made from cassava roots and are most commonly used to make tapioca puddings. Soak these pearls for at least 2 hours before adding them to a recipe. Our Bulk Foods are packaged in random weight measures. This means that you will receive at least as much as you ordered, but may receive slightly more product than you ordered. Buy in Bulk Quantities and Save $$$. Cooking Instructions: Soak 1/2 cup of tapioca overnight in 1 1/2cup cold water. Mix 1 qt. milk and 3/4 cup sugar. Bring to boil. Drain water off tapioca, add tapioca to milk. Cook and stir till tapioca is clear (at least 30 min.) Then combine 3 beaten eggs, 3/4 cup sugar and 3/4 tsp. vanilla. Add to above mixture and bring to a full boil. Makes about 2 quarts. 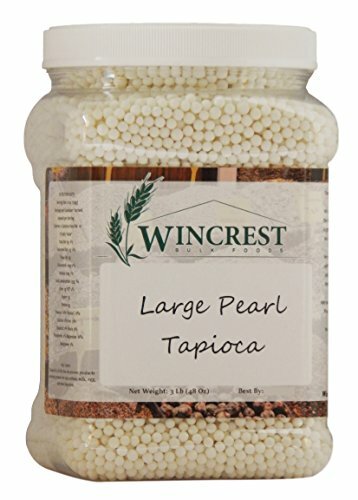 Looking for more Large Pearl Tapioca similar ideas? Try to explore these searches: Single Smoker, Day Hobo, and Polyform Mooring Buoy. Look at latest related video about Large Pearl Tapioca. Shopwizion.com is the smartest way for online shopping: compare prices of leading online shops for best deals around the web. 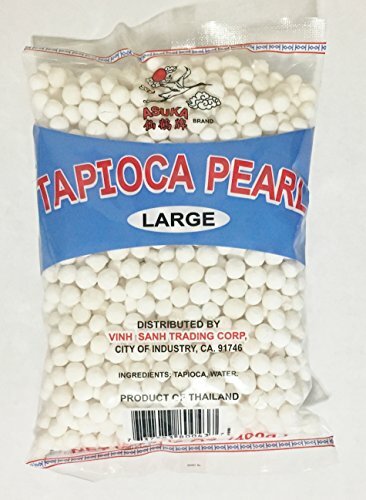 Don't miss TOP Large Pearl Tapioca deals, updated daily.